I’ve been gaming some interesting golf balls for a few weeks. They’re from a new company called Aris Golf, and their office is about a 30 minute drive south of HOG World Headquarters! 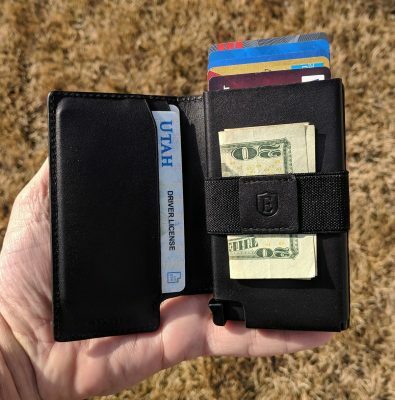 I’m happy to help bring some attention to new/small golf entrepreneurs, especially when they have a solid product. Aris’s products are solid! 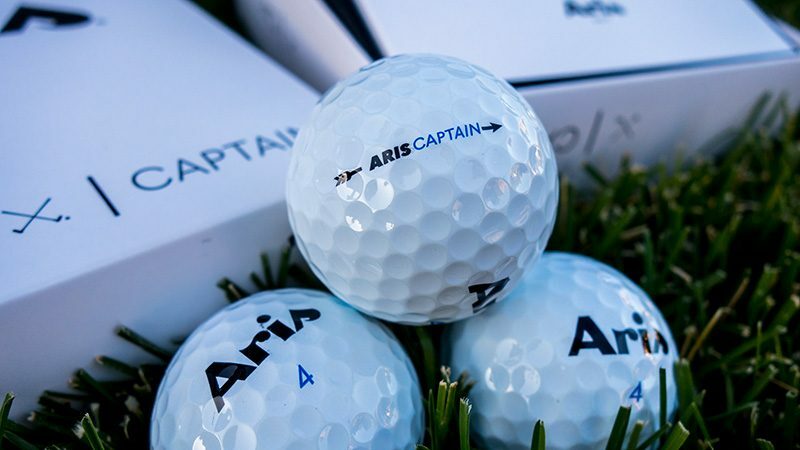 Let’s take a look at the Captain and Hero golf balls. The Aris Captain is a 3-layer (a.k.a. 3-piece) golf ball with a urethane cover. Urethane is part of the magic sauce for “tour” golf balls. 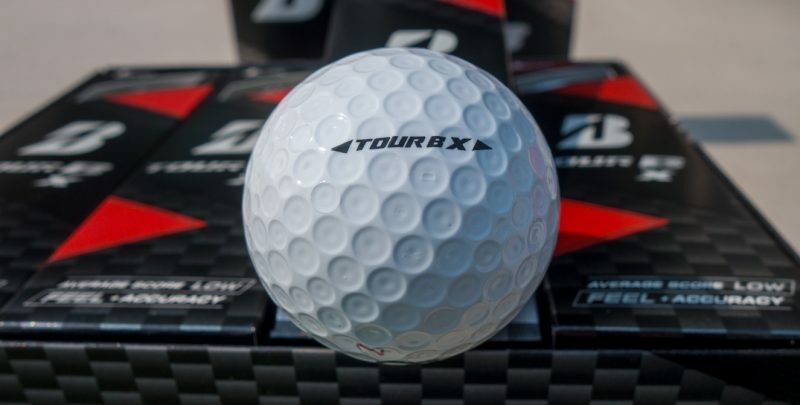 “Tour” is golf industry speak for “a golf ball which performs high enough to warrant being played by a professional golfer on the PGA Tour.” Specifically urethane is what gives a golf ball it’s spin characteristics, especially in the short game. Most of the expensive well-known high-end golf balls one sees in every golf shop have a urethane cover. The other two layers of the ball offer low driver spin, aiding in increased distance without losing accuracy. The ball’s flight characteristics are enhanced and supported by a 332 dimple pattern. Around 330 dimples seems to be a magic number for excellent golf balls. The ball conforms to USGA rules, so it is legal for tournament play. Off the driver the Captain compresses easily for my swing speed, about 95-100mph. It launches and flies with a solid trajectory, even in windy conditions. The Captain is as long as most tour balls I’ve played. I even had one shot which I carried 355 yards. Amazing. Perhaps I should delete the part here where I mention that it was a 600 foot drop with a tailwind at 9,000 feet above sea level in the desert. The Captain is great on iron shots. I can sense the softness of the ball ball on the face of my irons. This feel helps provide solid feedback on the quality of the strike, allowing me to know how to adjust, if necessary. Even long irons land softly and stick well on when they hit the putting surface. The strength of the Captain is in the short game. Any shot within 100 yards which is struck well will have a solid amount of spin and control. Chipping and putting with the Captain is as good as any tour ball I’ve played. The Aris Hero is a 4-layer ball, also with the magical urethane cover. The extra layers can provide some extra juice in terms of distance and flight stability, aided by low spin off of the driver. I found the Hero to be a great feeling and flying ball off the driver. The extra layers didn’t mean the ball felt extra hard or harder to compress. Iron shots with the Hero are solid and straight. Once again, despite the extra layers they still felt nice and soft. The 332 dimple pattern flies well in windy conditions. Short game and putting with the Hero is a joy. Distance control is easy. The ball rolls true off the putter and it is easy to get a feel for how far the Hero will roll, making distance control easier. Distance control putting is crucial to scoring, and eliminating knee knockers for par and the resultant 3-putts. My only critique with both balls is that the covers are so soft they are not durable. Crisp wedge shots and short irons will shave the ball. I’ve even taken whole chunks of the cover right off the ball with solid full-swings on longer wedges. 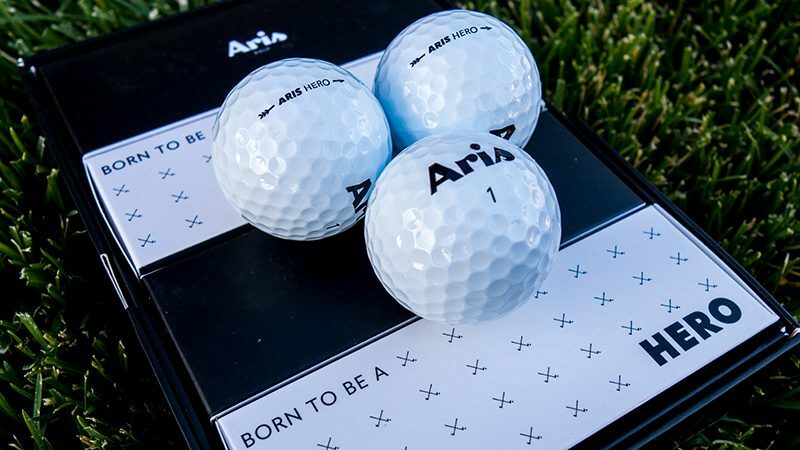 That’s one advantage some big-name ball manufacturers have on the Aris, but with a cost that’s typically double or more, one could afford to play 2-3 Aris balls for the price of one ProV1. Golfers with slower swing speeds or dull wedges may not have durability issues. 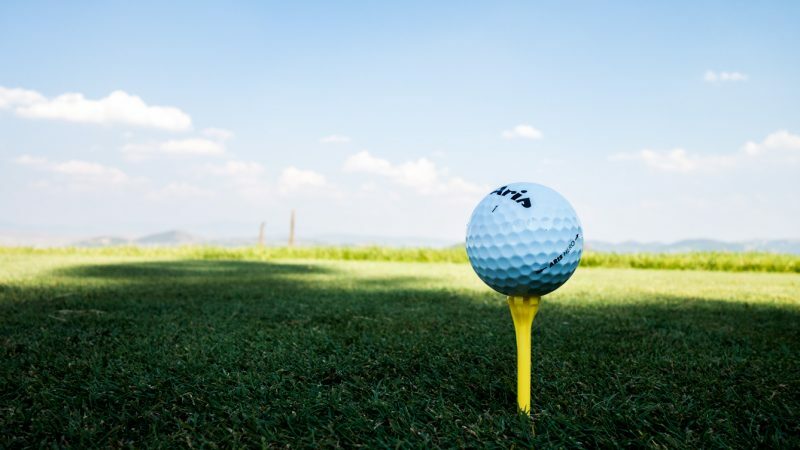 The Aris Captain and Hero golf balls provide solid distance, accurate ball flight, and short game performance equal to golf balls costing far more. Give Aris a shot, so to speak. In for review are samples of the four different Bridgestone Golf “Tour B” golf balls. 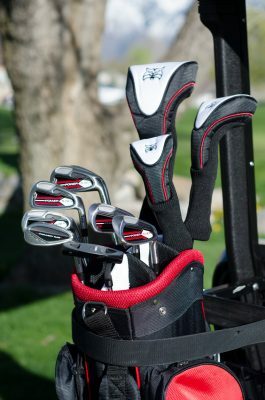 The Tour B series is the modern day B330 series of recent years. All of these balls feature a urethane cover, the magic ingredient for short game control found in most “Tour” balls. Other features include a gradational core and dual dimple design. You can see the dual dimple design in the photo below. 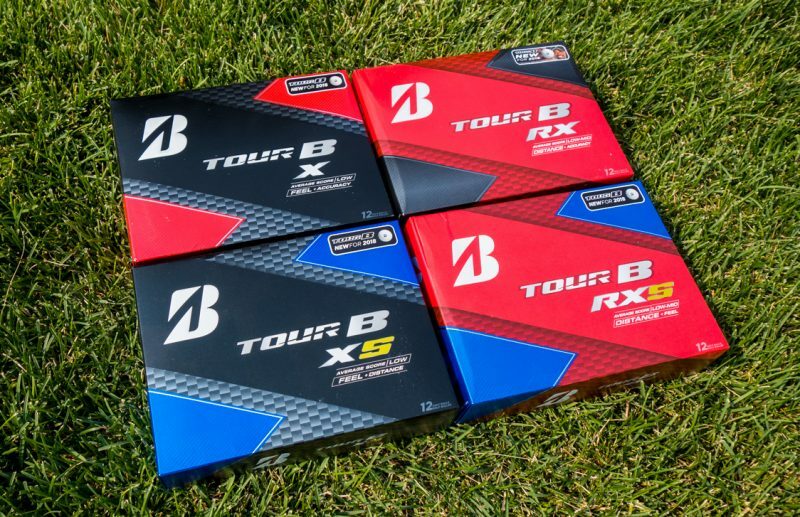 The Tour B X and Tour B XS are for higher swing speeds and the Tour B RX and Tour B RXS are for slower swing speeds. I’ve gamed the Tour B330 for a long time and I’m anxious to check out these and see how the Bridgestone Tour B series has changed and improved. 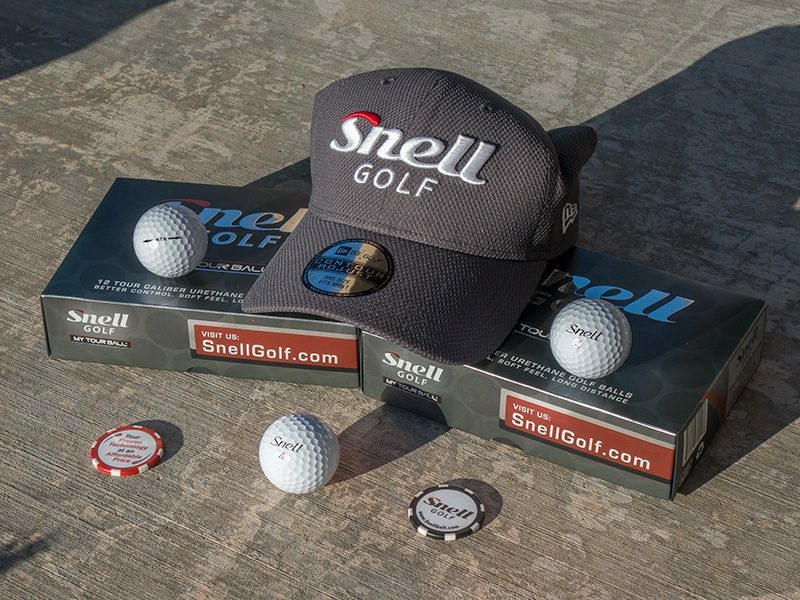 I’ve got a few golf ball entries I’m still in the midst of reviewing, so it will be a few weeks before I will be posting my full Tour B review, so stay tuned. 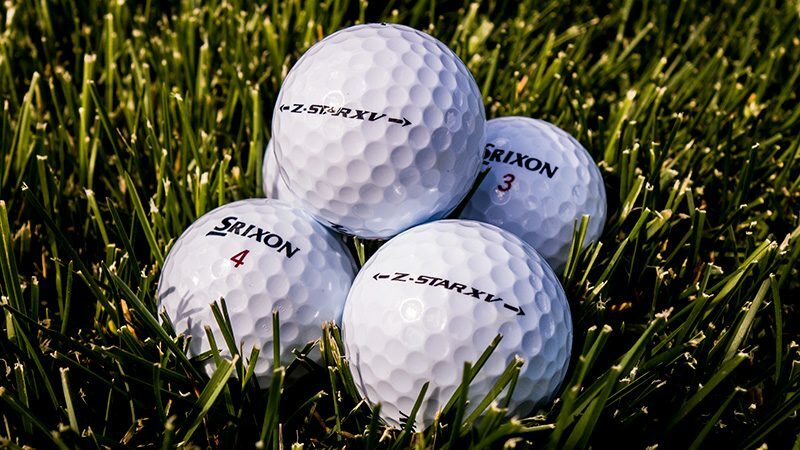 In for review from Srixon are the 2018 Z-Star and Z-Star XV golf balls. 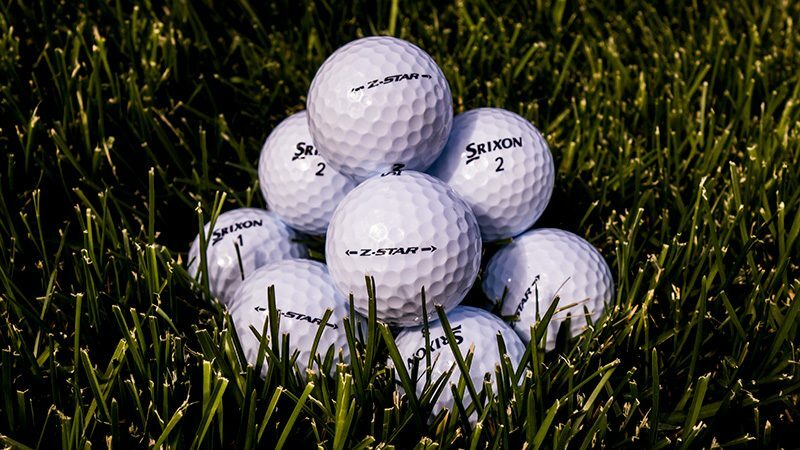 These are the top of the Srixon line. 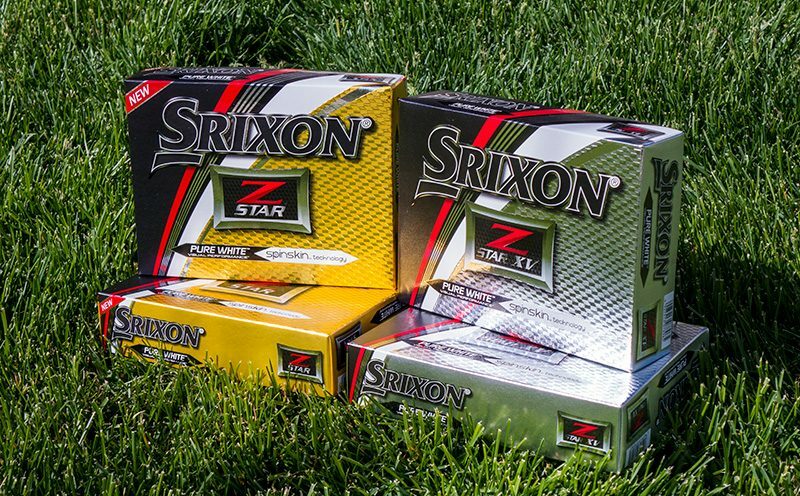 It has been five years since I reviewed the Z-Stars, dating back to my 2013 Z-Star golf ball review and the 2013 Z-Star XV golf ball review. The Z-Star is a super golf ball and I’m anxious to see how the ball has changed and improved over the last five years. The Z-Star (above) is the softer of the two balls, with the XV model (below) being the harder one for higher swing speeds. I plan to put these into play over the next 4-6 weeks. So look for my full review of each ball around the end of June 2018, with social updates on Twitter, Instagram and Facebook in the interim. I recently reviewed the 6-layer golf ball from Forté Golf, an Australian based company. 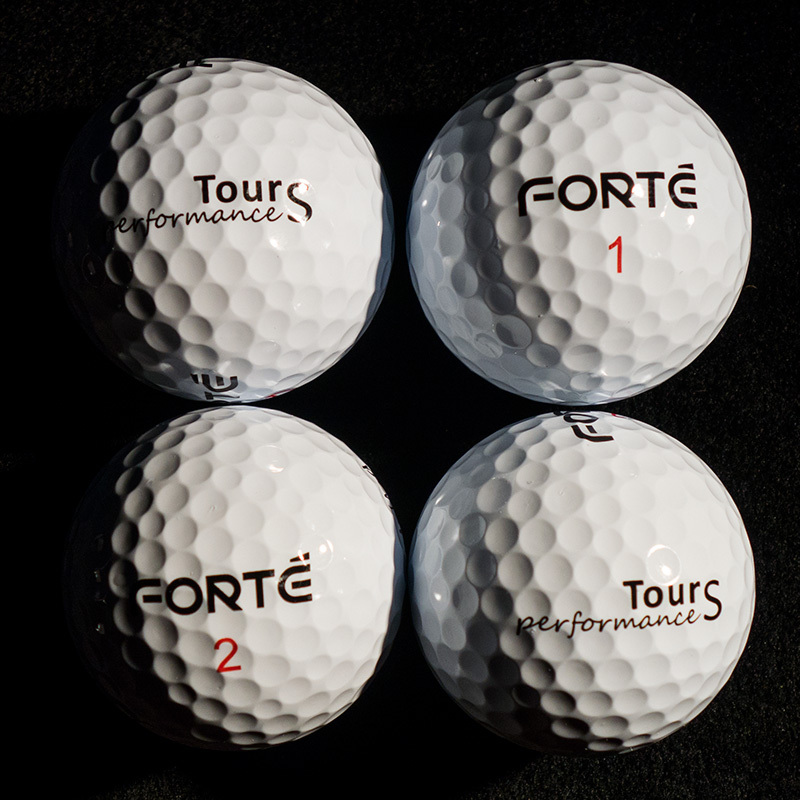 That’s the first of two golf ball models from Forté Golf. Today’s review is the Tour-Performance S model. 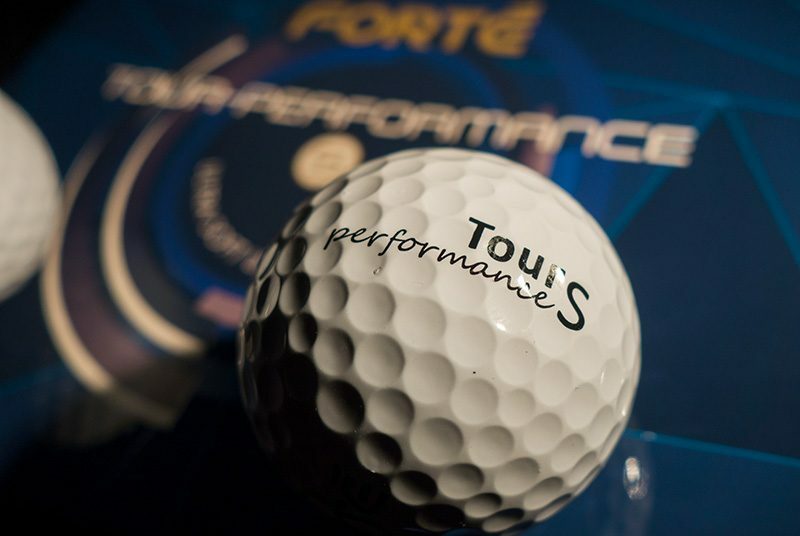 This is a ball with a different construction than their 6-layer, but still focuses on “tour” performance. What does that mean? 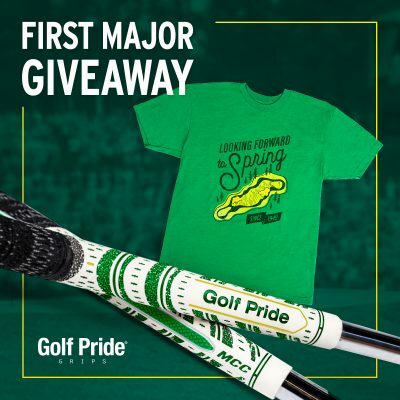 We hear “tour” all the time when referring to golf equipment, especially golf balls. Tour typically means high short game spin and a soft urethane type of cover for control in the short game. Let’s take a look at the Tour-Performance S.
The Tour-Performance S is a 3-layer ball, often referred to as 3-piece construction. The layers are the core, mantle, and cover. Each layer has specific properties and materials designed specifically for performance characteristics throughout the various shots. Golf ball construction is tough. Lower spin rates are great for longer distance and accuracy with the long clubs. But higher spin rate is desired for shorter shots. That high spin provides bite and control. The core primarily gives the ball its compression, and feel off the driver. The core of the Tour Performance S is soft and produces a low spin rate with the driver. The mantle blends the core with the cast urethane cover. The urethane cover provides the ball’s feel and control in short game shots, even putting. Driving with the TPS is excellent. I love the softer core. I’m able to hit this ball as far most brand name tour quality balls. Just yesterday I was in a tournament in high winds and was still able to hit some long drives which held their line nicely. I even got to put my name on the long drive sign, but that didn’t last long I’m sure. The soft core and urethane cover make for great feeling shots with the irons. Longer irons compress well and my accuracy with them is great. Shorter irons and especially wedges stop on a dime and leave 7 cents change. In my last round I nearly holed out two shots from roughly 100 yards. Quite sure one lipped out. Nice to have a 10 inch birdie putt now and then. Short game shots, chipping and pitching around the green are huge beneficiaries of the urethane cover. I feel like I have total control and stopping power with my wedges. Putting the S is terrific as well. It rolls true and is very easy to control distance. One problem “tour” balls have is durability. 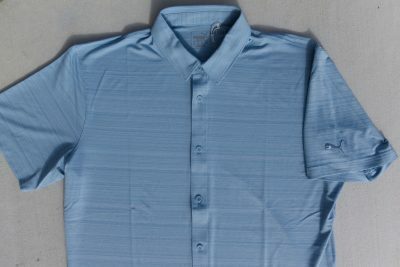 It’s contradictory to have a soft cover and high durability. That said the TPS is very durable. I’ve played one ball for 2-3 rounds and it barely shows any wear. The ultimate golf ball has low spin with the driver and high spin on shorter shots. The S performs highly on both ends of the spectrum and easily competes with tour caliber balls from the big name brands.